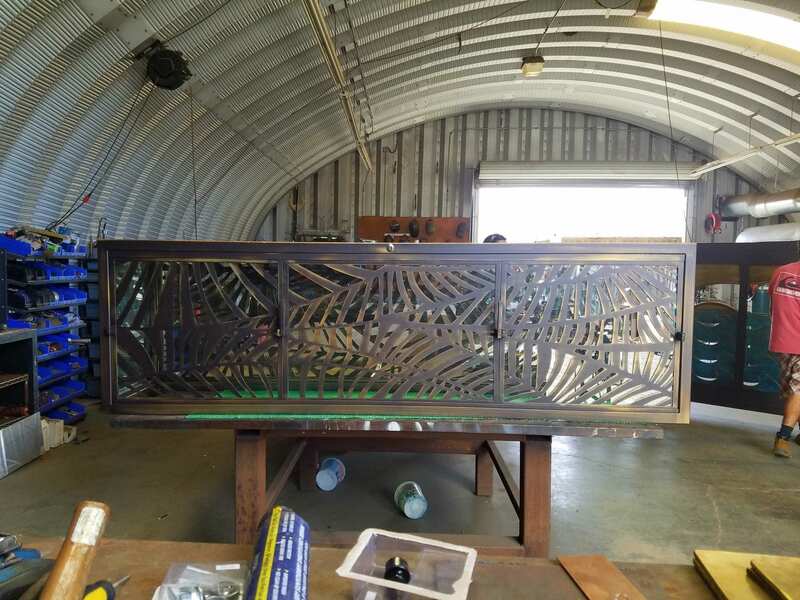 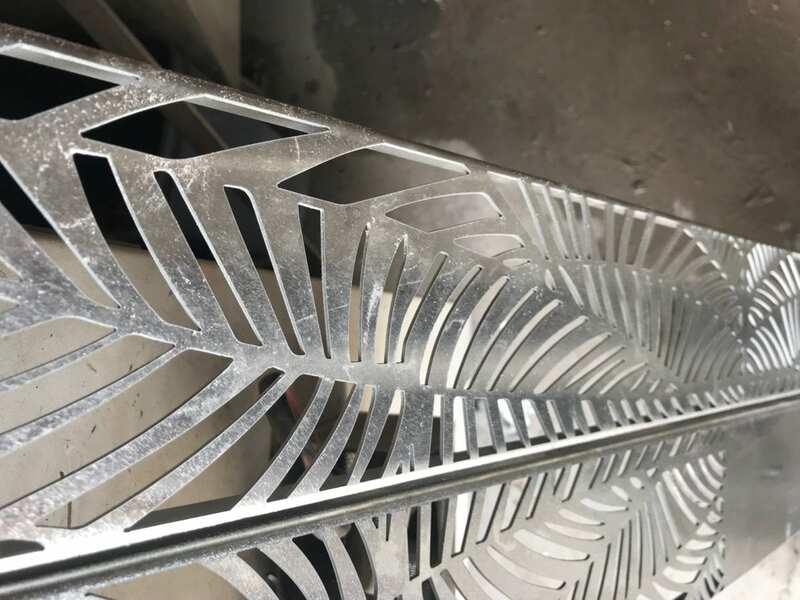 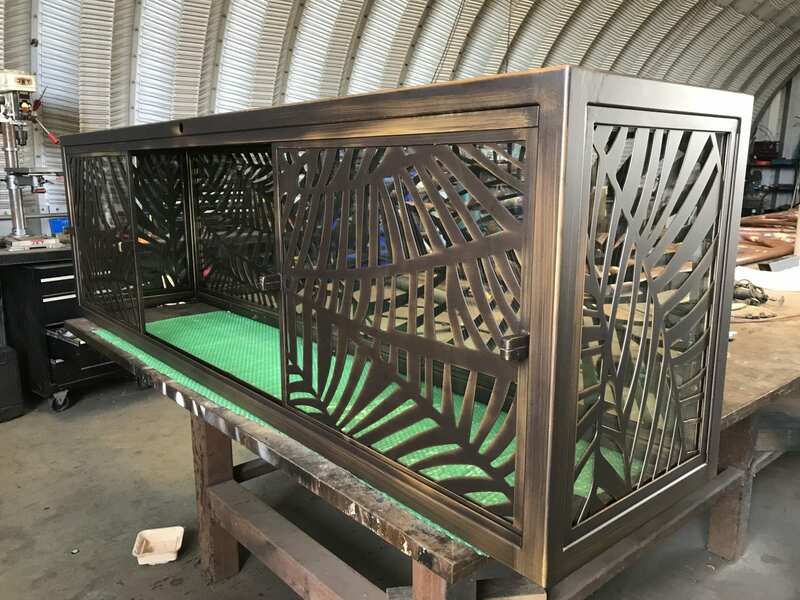 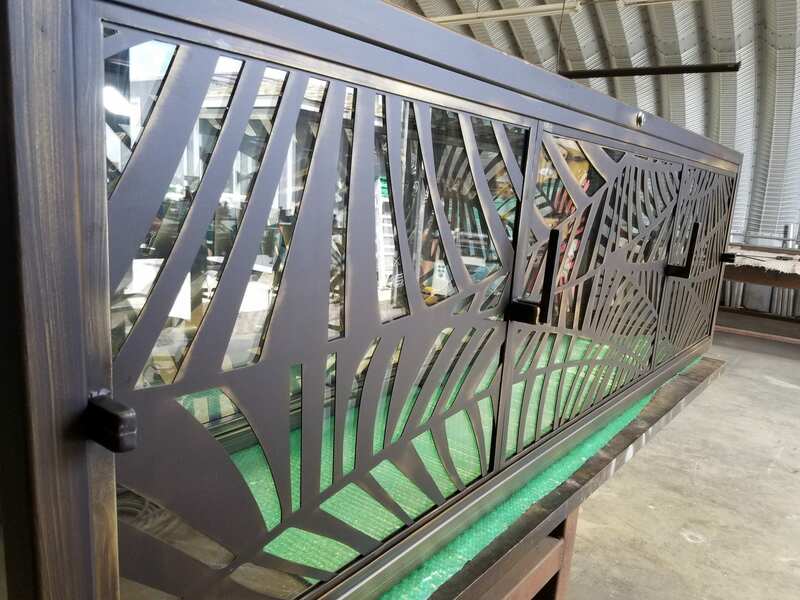 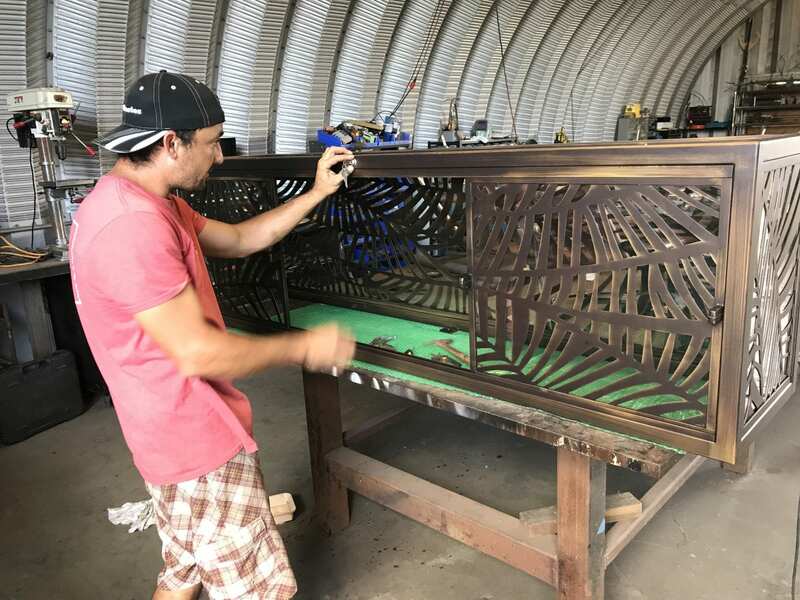 This week Padilla Designs brings you another installment of our “In The Studio” blog series featuring a custom job in collaboration with Sterling Development and Maui Powder Works for the Four Seasons Resort Wailea Maui. 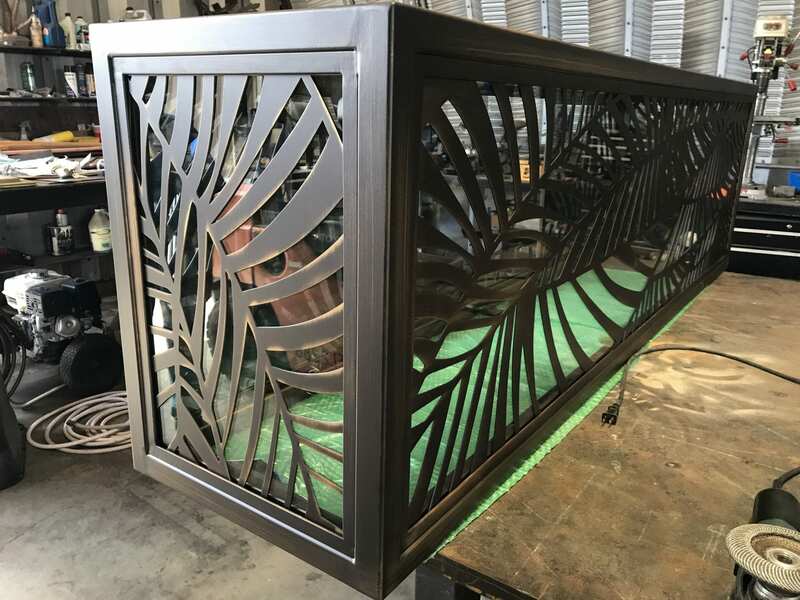 The Four Seasons Resort Wailea came to us in need of a decorative locking liquor display to accent their in lobby bar. 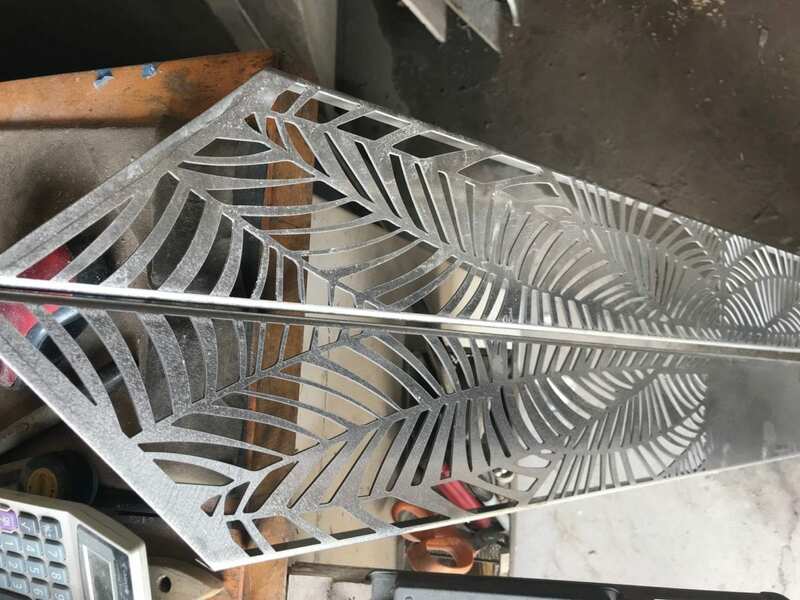 Fabricated from stainless steel, the panels are water jet design cutouts. 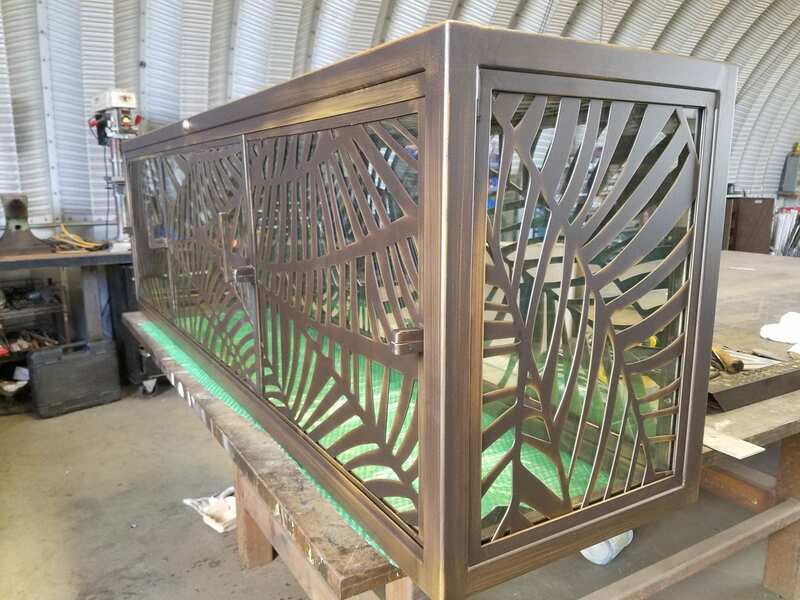 Its finished with a brushed bronze multi layer powder coat and backed with clear laminated glass. 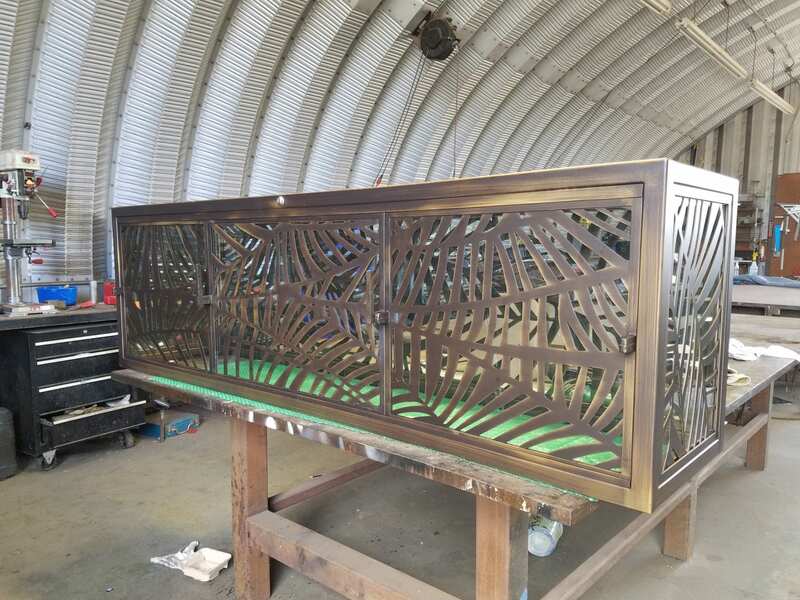 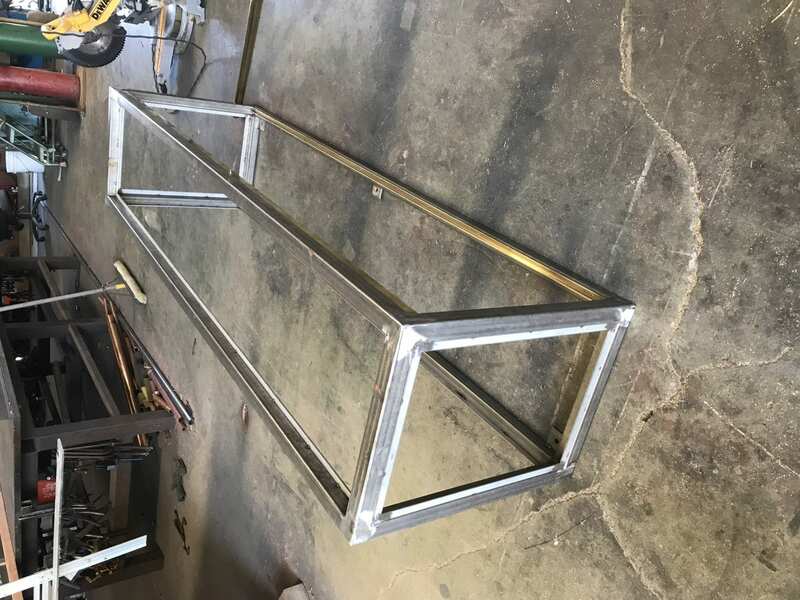 We were also asked to fabricate matching drink rail and serving station accents. 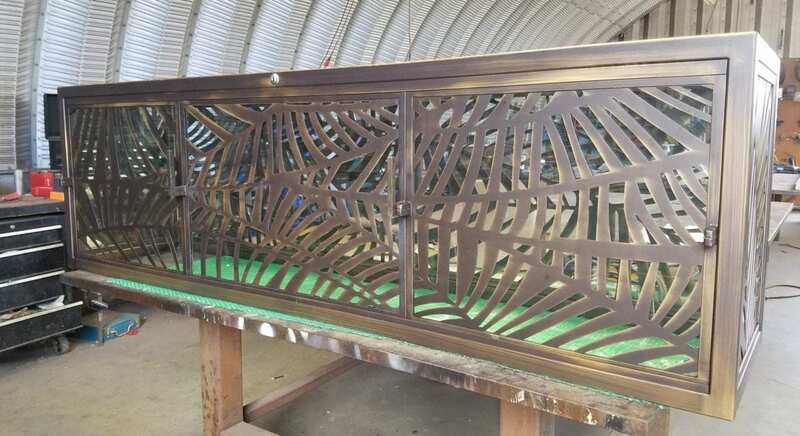 Stay tuned for the reveal of the finished project!